Since going commercial in December 2007 Billy's Backbiters have quickly established themselves as the number one Bite Alarm for Pike Anglers throughout the UK and Europe. The combination of 23 years of engineering and 25 years of pike fishing have provided me with all the experience necessary to deliver what all Pike anglers want. A high quality and supremely reliable 'Backbiter' or 'Drop Back' style alarm that will provide season after season of continuous reliable service no matter what the worse of the winters weather has to throw at them. My promise is to give you an exceptional product with exceptional service. Billy's Backbiters give you just that, Pukka Alarms For Pukka Pikers. Their neat, compact design using components of only the highest quality will guarantee that when that pike takes your bait the 95dB sounder will let you know about it. Most Pukka Pikers out there will use a Drop-Off style indicator of some sort. Even pikers using front alarms will incorporate a drop arm in their bite indication as the need to detect a slack line run is as important as using a wire trace when piking. With Billy's Backbiters I have filled a void in the market for a quality alarm for Predator anglers. 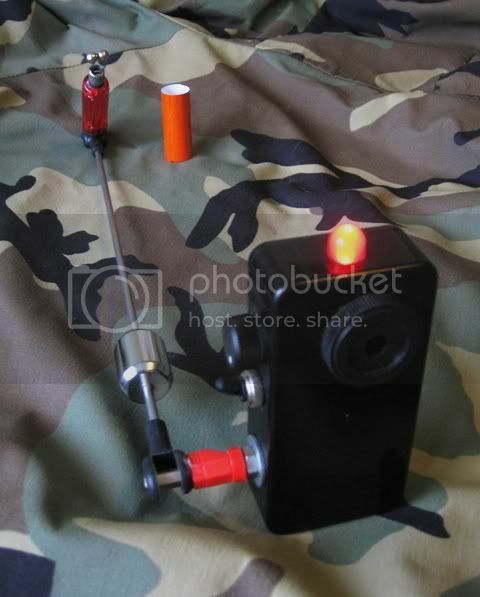 Many Pikers will have reverted to front alarms in this time and will have spent years putting up with the bleeping all day long when fishing in flow on a river, fishing in wind on a still water where the waves are rolling or when using big live baits. As a result you get complacent to the beeps and tend not to pay them any attention. When a Backbiter or Drop Off style alarm goes off it is for one reason only and that's because a predator has grabbed your bait. 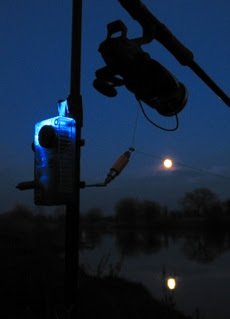 In my opinion and that of most serious Pikers the Backbiter or Drop Off style alarm is the only type of alarm that covers all round predator angling from fishing small lives on the local cut to banging out big dead baits on a Scottish Loch. Billy’s Backbiters have raised the bar to new heights for Predator alarms and will give you a good visual and audible indication of 'clip out' and 'slack line' runs. With 100'S sold since their launch in December 2007 Billy's Backbiters have set the standard in the predator angling world as the bite alarm of choice for the discerning piker. All products have the same functionality and principle of operation and it's just the look that differs between models. The traditional model. As tough and reliable as they've ever been and built to the tried and tested design that goes back over 10 years of seasoned piking. Shown here in RED other colours available are YELLOW and GREEN. By far and away the most popular model and for good reason. Yeah, it looks great but it's not a bite alarm aimed at the tackle tarts. 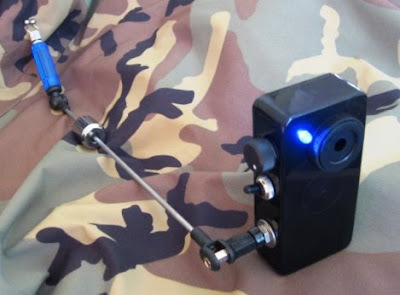 The tough blue box has a practical application in that when you get a run the box lights as bright as you like. I cannot emphasise enough what a brilliant feature this is for when you're either giving it that hour into dark for the big girls or staring at rods through bleary eyes when you're going through the night for Zeds. Well established and now selling as many a the Bluenoses. 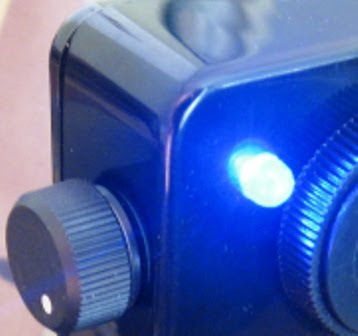 The translucent red box and flashing 10mm LED make this alarm stand out like a like a beacon. They look great and perform even better. Following a request for something a little more discrete I came up with the Black 'n' Blue. All the same functionality the other Backbiters just a little bit more understated. This was the top seller at the 2009 PAC convention. So popular were they that I even managed to sell Eddie Turner a set. Thats right, Eddie Turner now uses Billy's Backbiters. If ever there was testement...!!!! 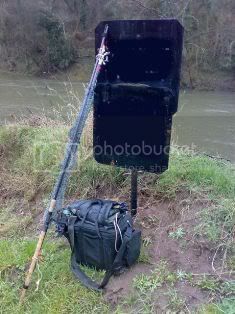 When fishing for shy biting fish such as Zander or Eels then resistance of a clip can lead to dropped runs. This led Barry McConell to develop his revolutionary Rollover indicator. After months of development to come up wil a perfect and simple solution Baz and I are now pleased to announce that by using a simple adapter the two products can now be combined. Please visit Barry's website www.zandavan.co.uk for more information, articles and demonstration videos and to purchase the Rollover indicator. For me, it would the catch of my lifetime!